For our family vacation in 2018, we drove out to the Pacific Northwest on a 14-day road trip. 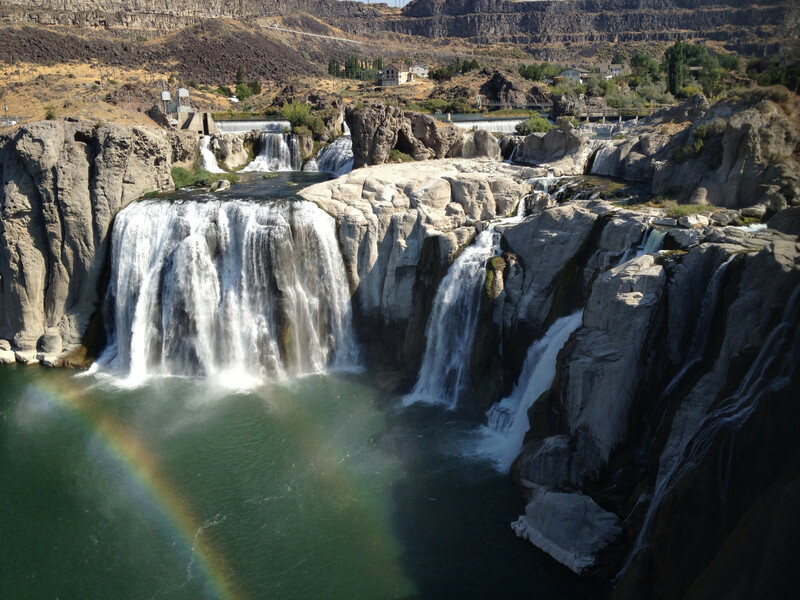 After spending time in Montana, Washington, and Oregon, we started our return trip by visiting in Twin Falls, Idaho. There is so much to see and do there. 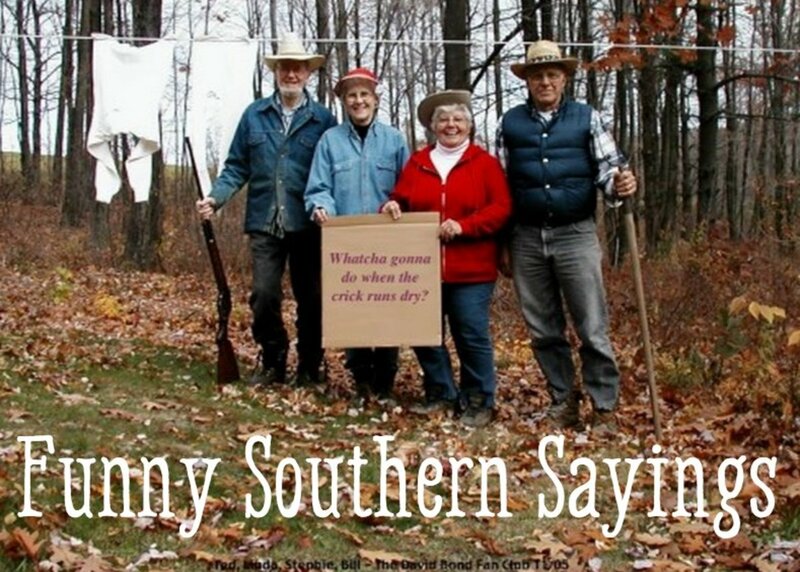 It is an outdoor lover's paradise. 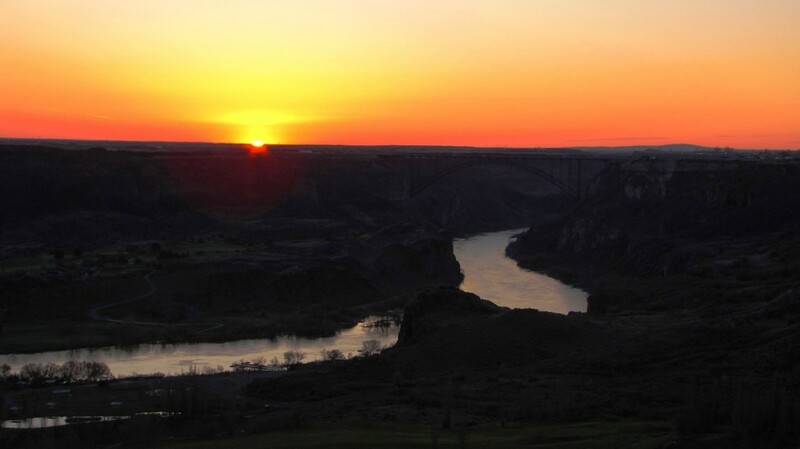 Here is a look at the top 10 things to do in Twin Falls. 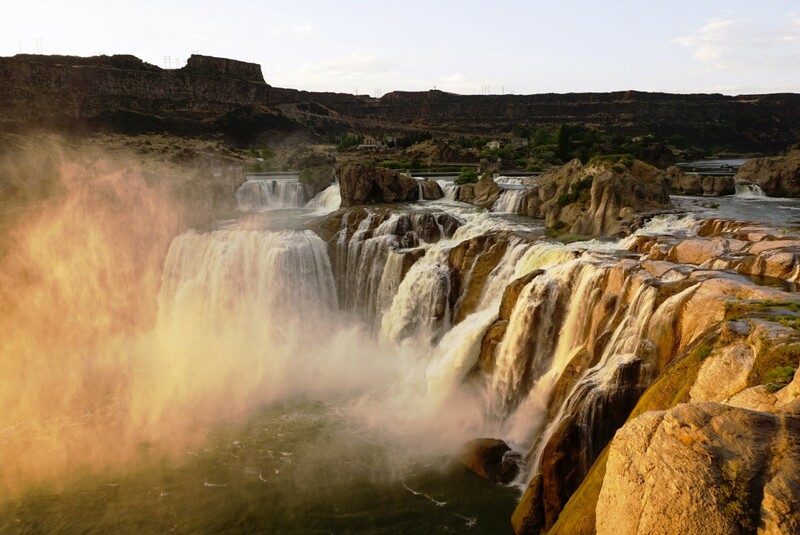 Shoshone Falls on the Snake River is known as the Niagara Falls of the West. It is 212 feet high and around 900 feet wide, making it one of the largest waterfalls in the United States. It is about 40 feet higher than Niagara Falls, but not as wide. 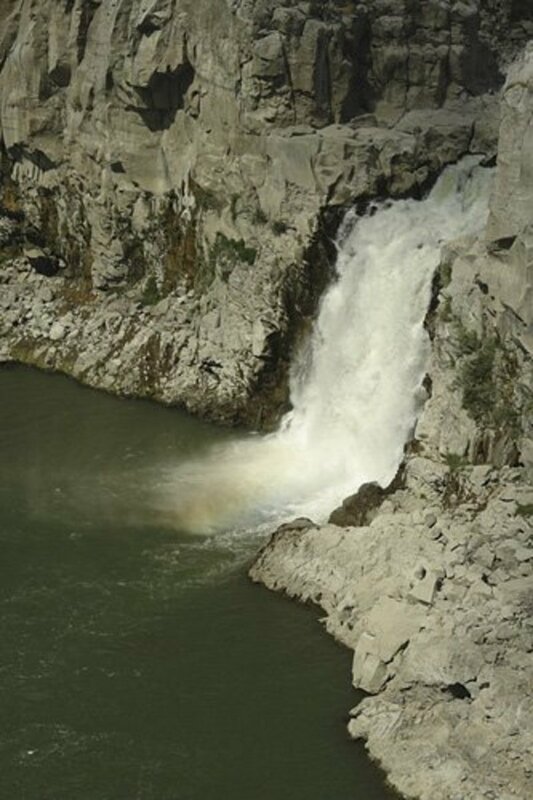 The falls is in Shoshone Falls State Park, which is about nine miles from I-84 and the U.S. Hwy 93 exit. We arrived just as the sun was beginning to set. The rocks around the falls reflected the orange color of the sun. It was amazing! 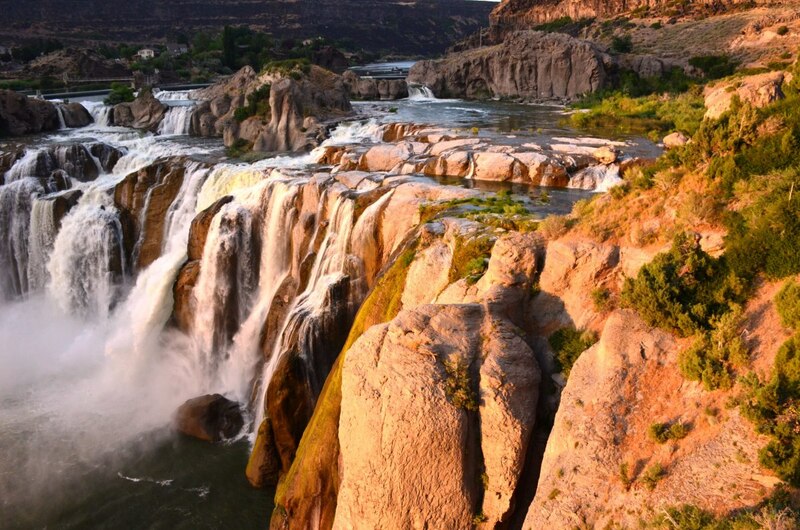 Shoshone Falls is a must-see when visiting Twin Falls. Please see the video that I shot below. 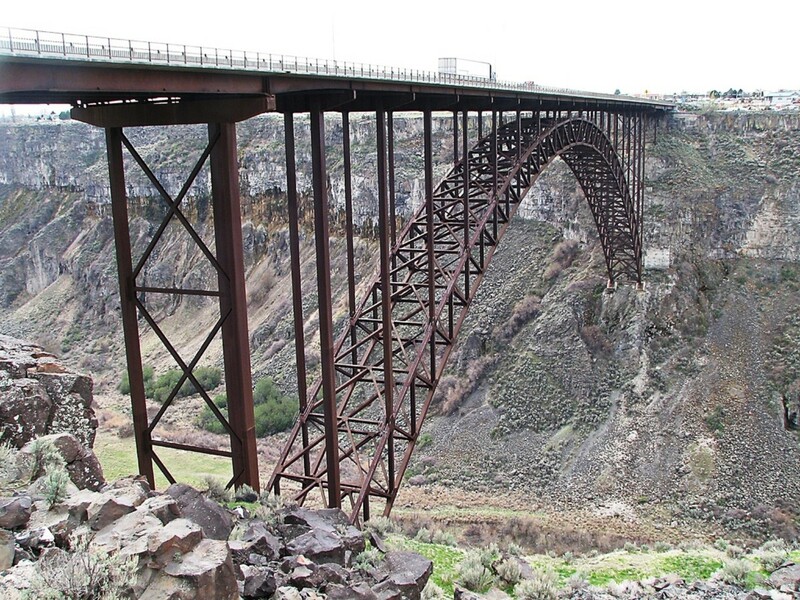 The Perrine Bridge is the most famous bridge in Idaho and the fourth largest arch bridge in the United States. 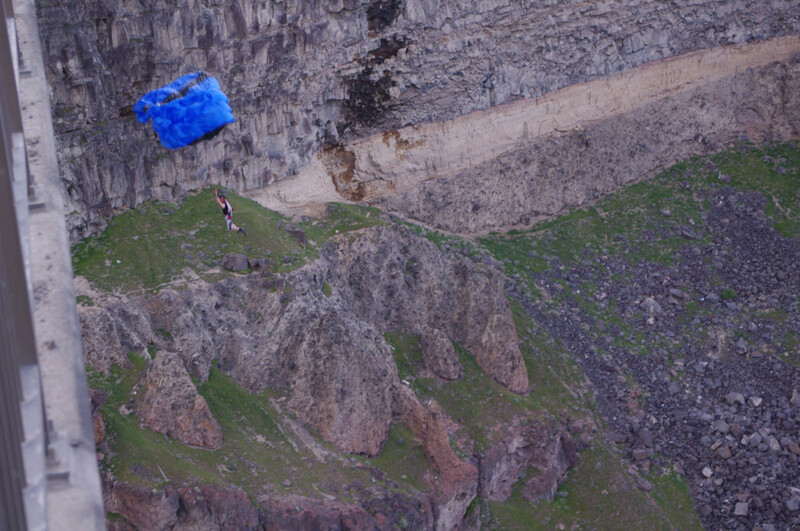 It is 1,500 feet long and crosses 486 feet above the floor of the Snake River Canyon. The bridge has walkways for pedestrians to walk out on and enjoy the spectacular view. 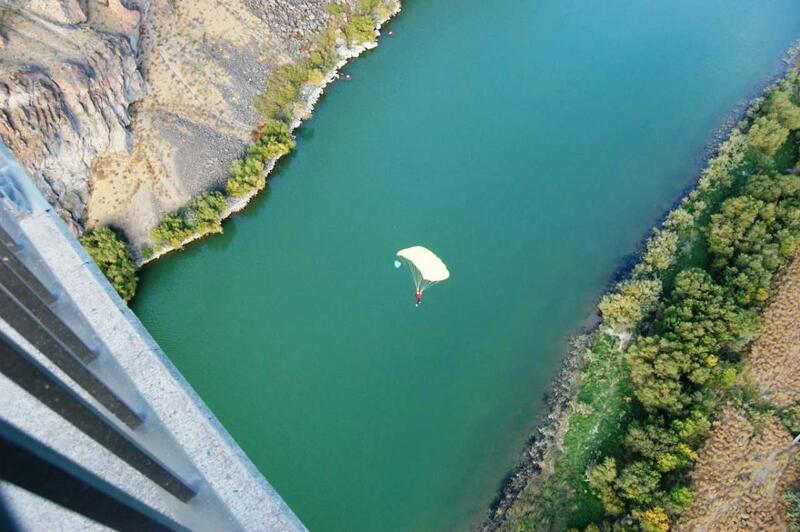 The thing that sets the Perrine Bridge apart is that it is the only bridge in the United States where BASE jumping is legal all year without a permit. 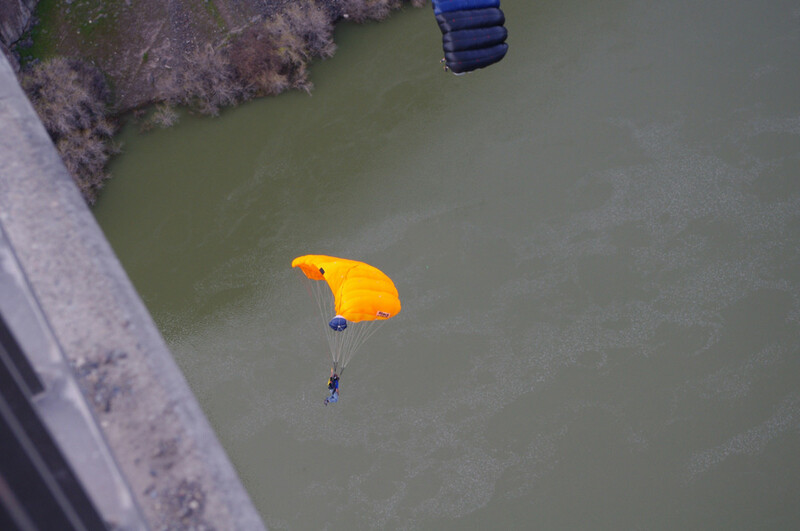 It is common on most weekends to see people parachuting off the bridge. 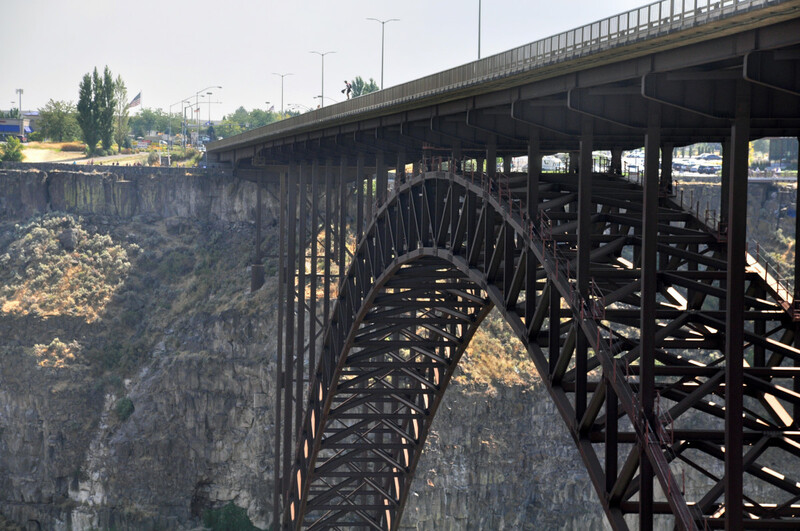 The Perrine Bridge is a must see when visiting Twin Falls. We were blessed to be able to drive over it as well as spend a few minutes admiring the beauty of the bridge and canyon. 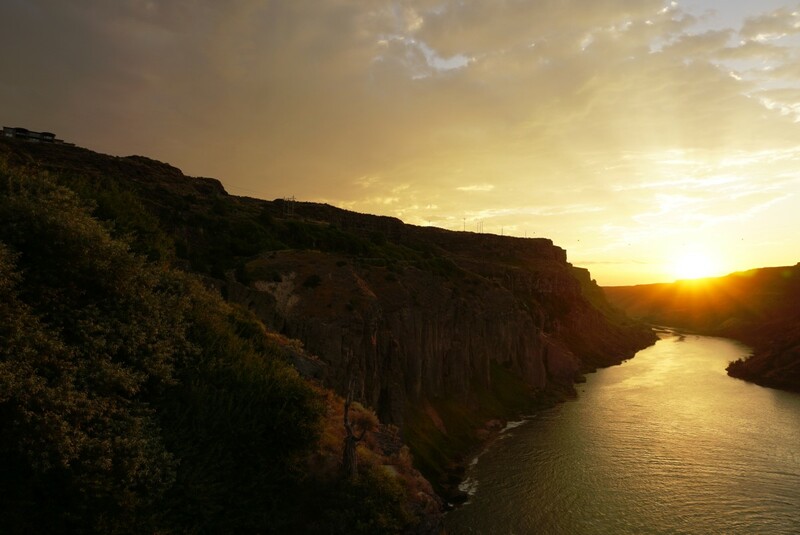 Snake River Canyon is over 50 miles long and formed as the Snake River carved a path through ancient lava flows. 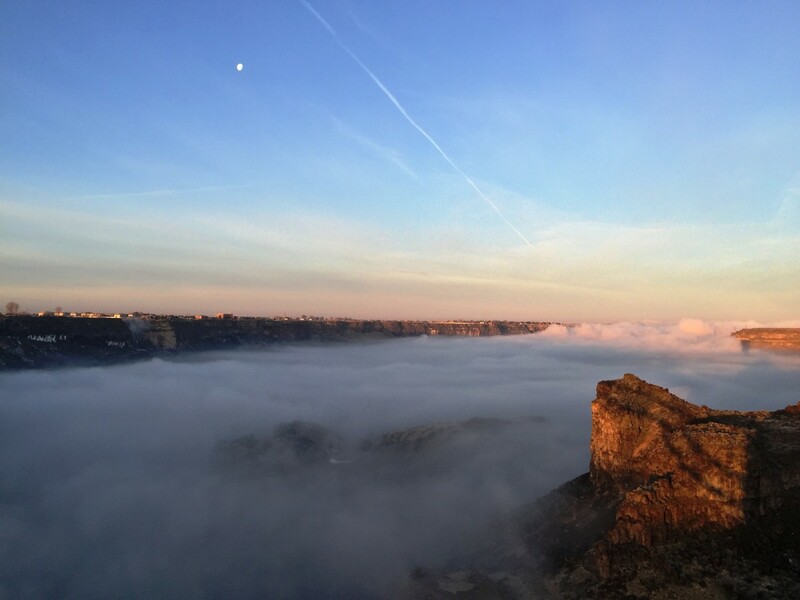 The canyon is home to Shoshone Falls and Perrine Bridge. 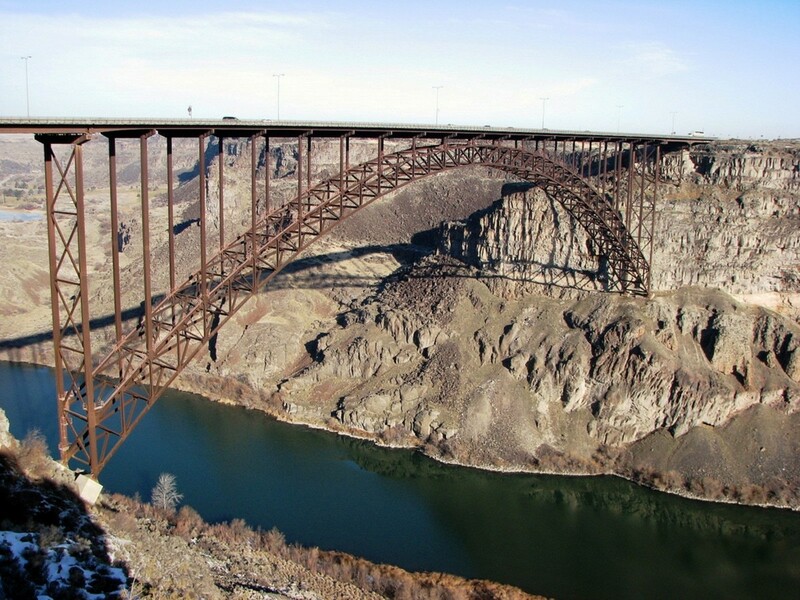 The famous daredevil Evel Knievel tried to jump the canyon in a steam-rocket motorcycle near the bridge but failed when his parachute malfunctioned on takeoff. 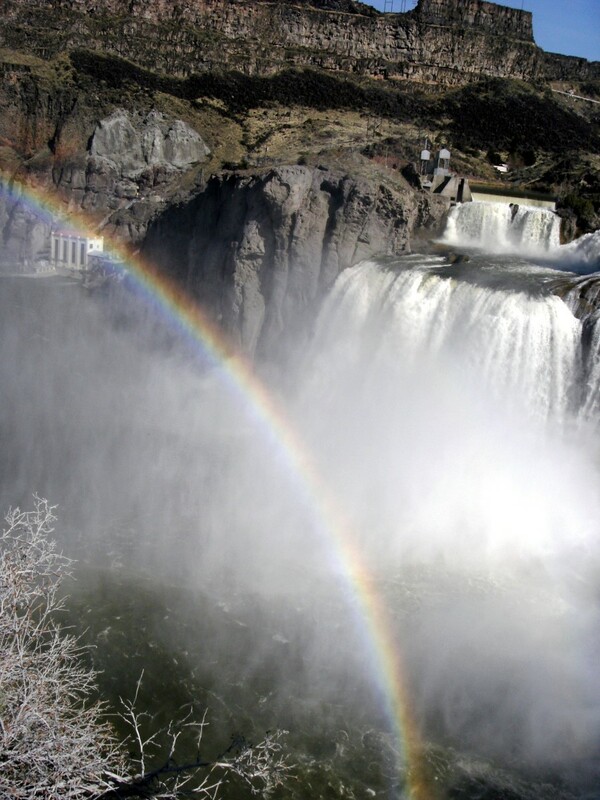 The South Rim has a ten mile long walking trail that has access to Shoshone Falls and the Twin Falls Visitor Center. Sunsets are particularly amazing near the canyon. 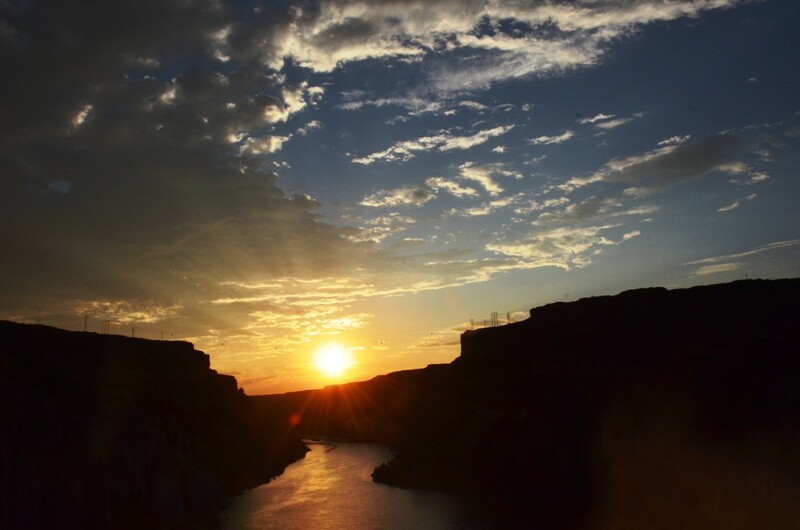 I highly recommend setting aside time to visit the beautiful Snake River Canyon. 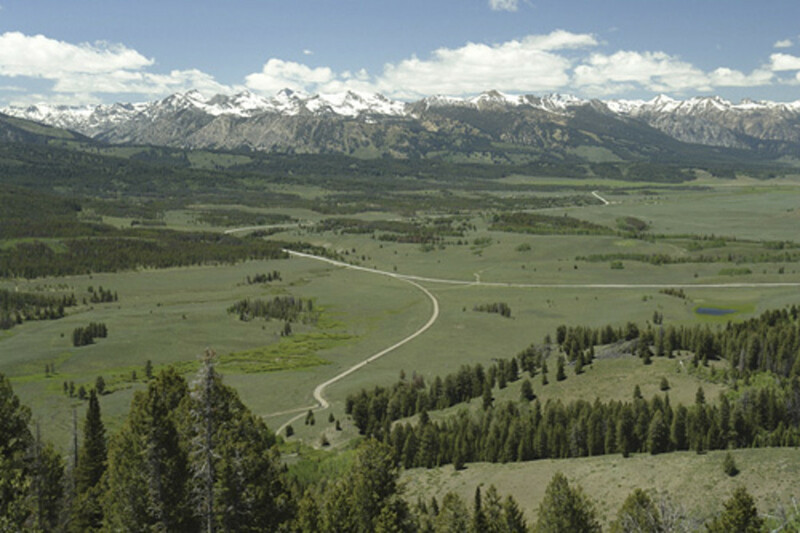 The Sawtooth National Forest is over 750,000 beautiful acres. 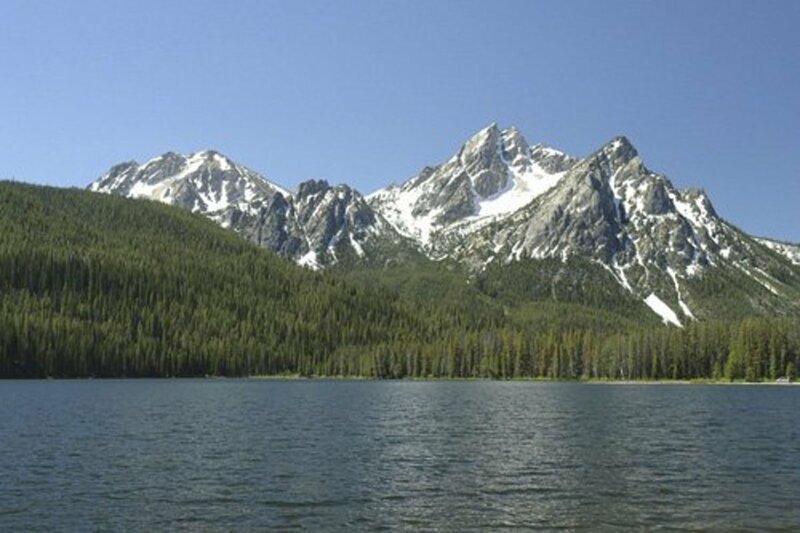 The main draw is the Sawtooth Mountains that boast 57 peaks that are over 10,000 feet. The mountains are amazing. They remind me a lot of the Grand Teton Range in Grand Teton National Park. 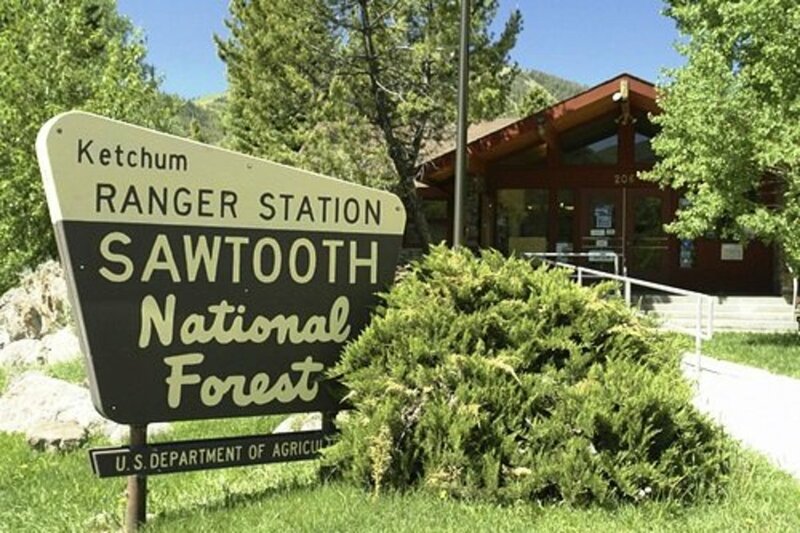 The Sawtooth National Forest offers over 700 miles of hiking trails, close to 400 alpine lakes, fishing, camping, wildlife viewing, birding, and more. Here are the best places in the Sawtooth National Recreation Area. 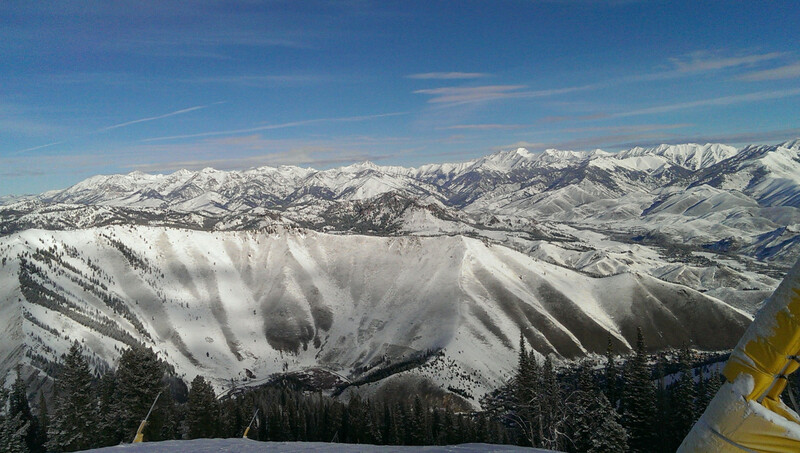 Sun Valley is the southern entrance to the Sawtooth National Recreation Area. It is about 85 miles north of Twin Falls. 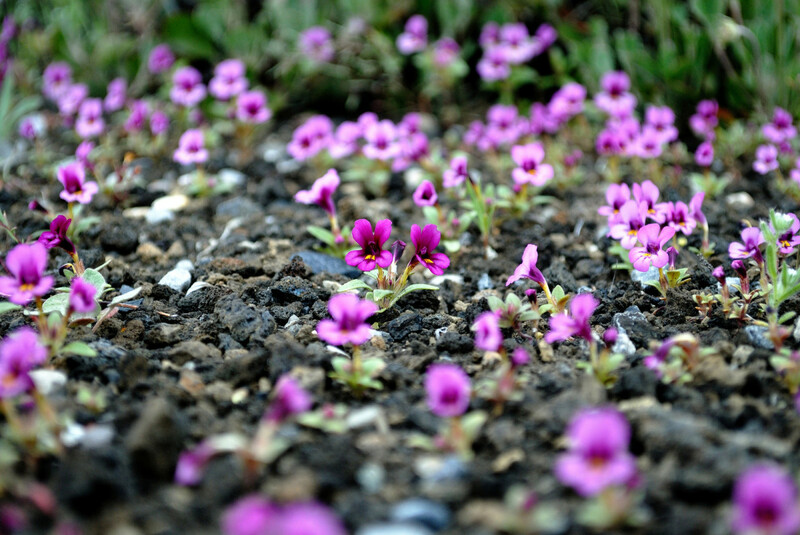 It is an outdoor lover's paradise. 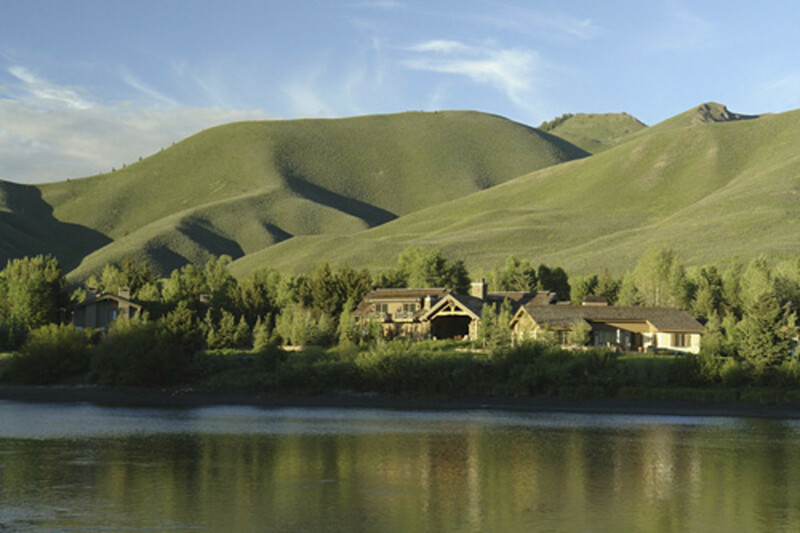 Sun Valley is great for mountain biking, hiking, trail running, fishing, golfing, skiing, and horseback riding. 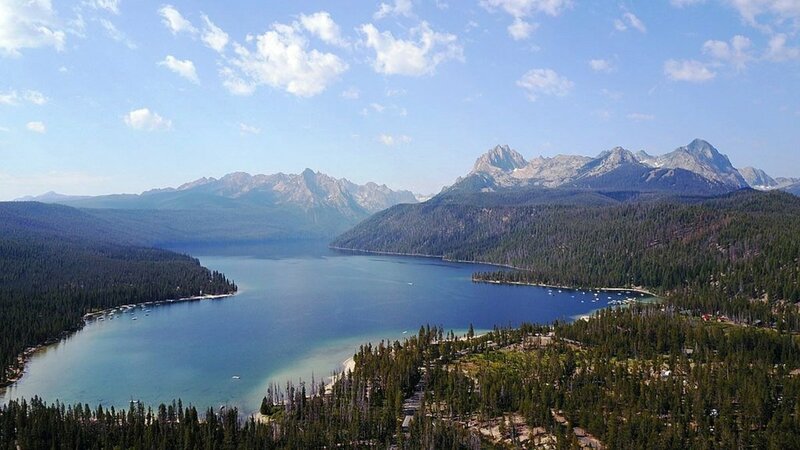 Redfish Lake is a tremendously beautiful place located near Stanley, Idaho. 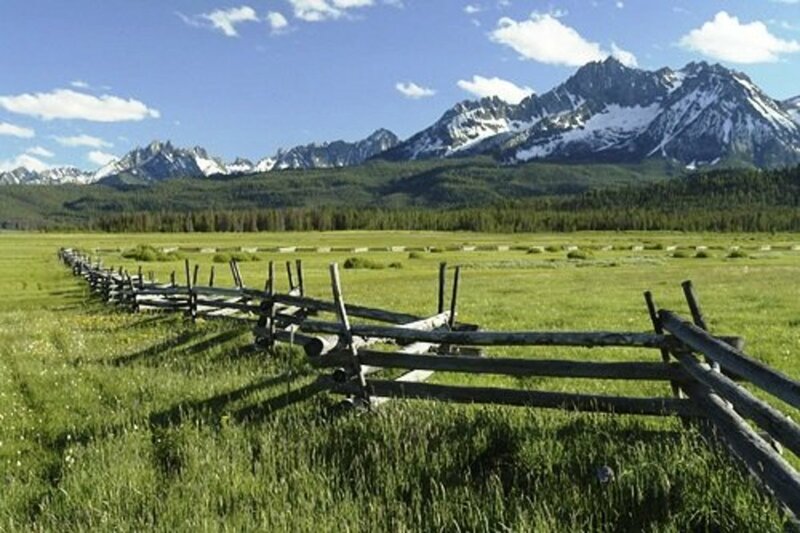 It offers gorgeous views of the Sawtooth Mountains that are awe-inspiring. 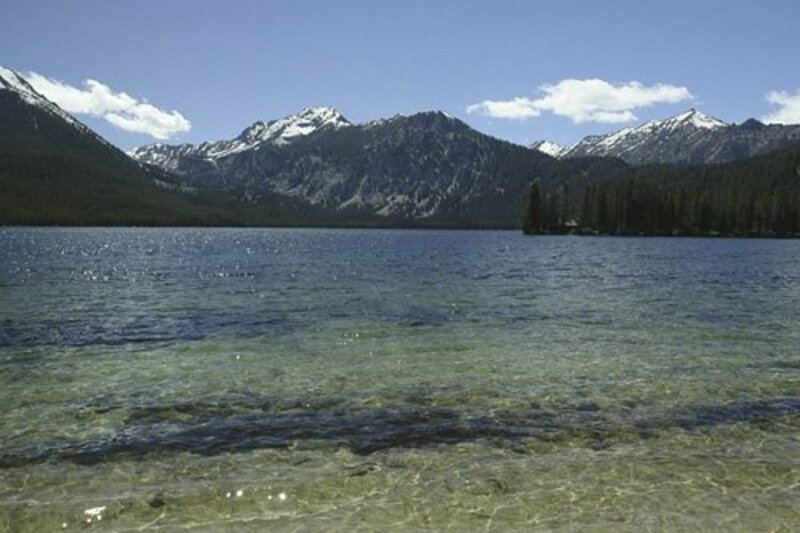 Redfish Lake is a great place to fish, kayak, hike, and soak in the beauty of God's creation. 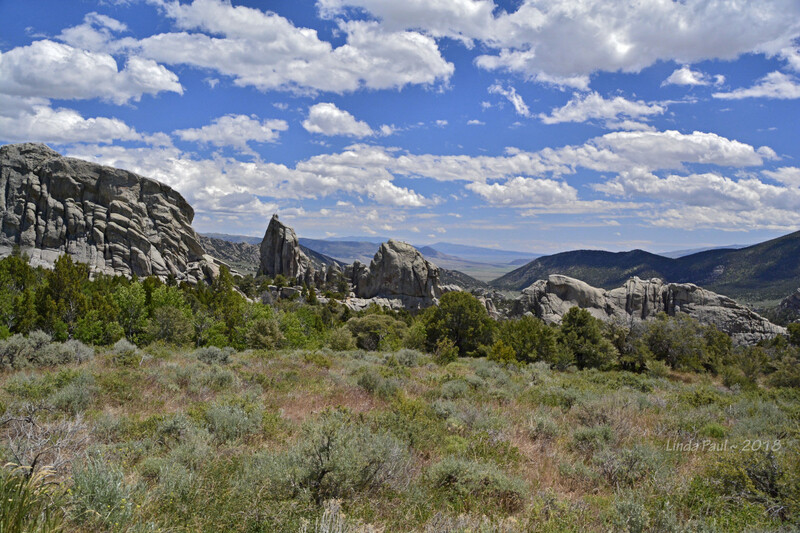 Mountain climbers frequent this area because it offers some of the most challenging peaks in the West. 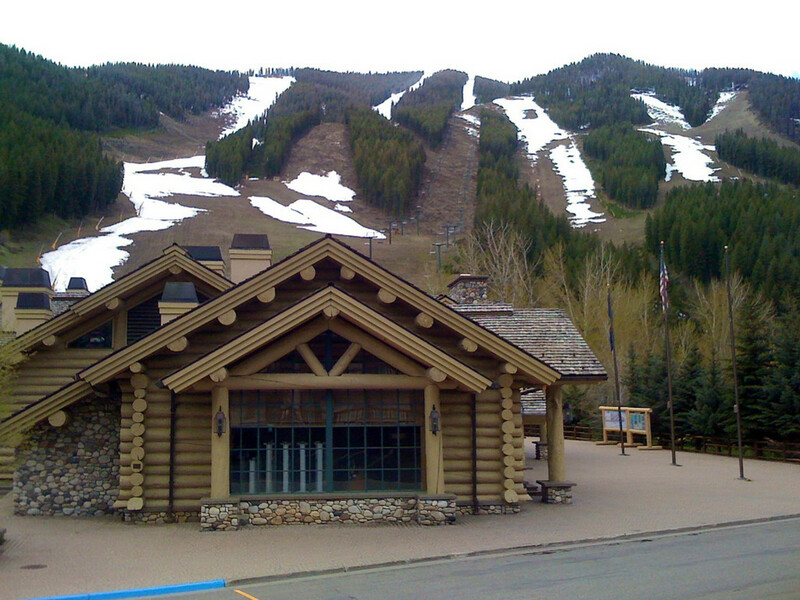 The Redfish Lake Marina operates a boat ride across the lake to where many climbers begin their climb. 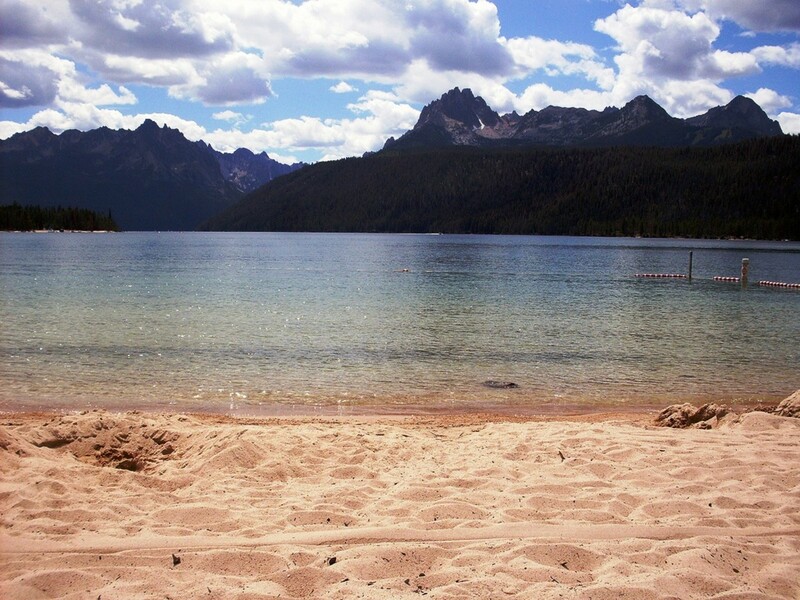 Redfish Lake is a must-see when visiting the Twin Falls area. 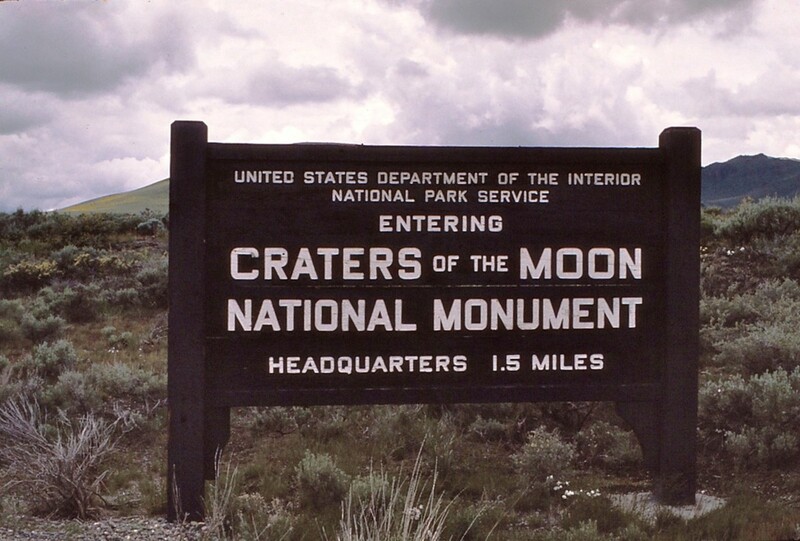 Craters of the Moon National Monument is an otherworldly experience. 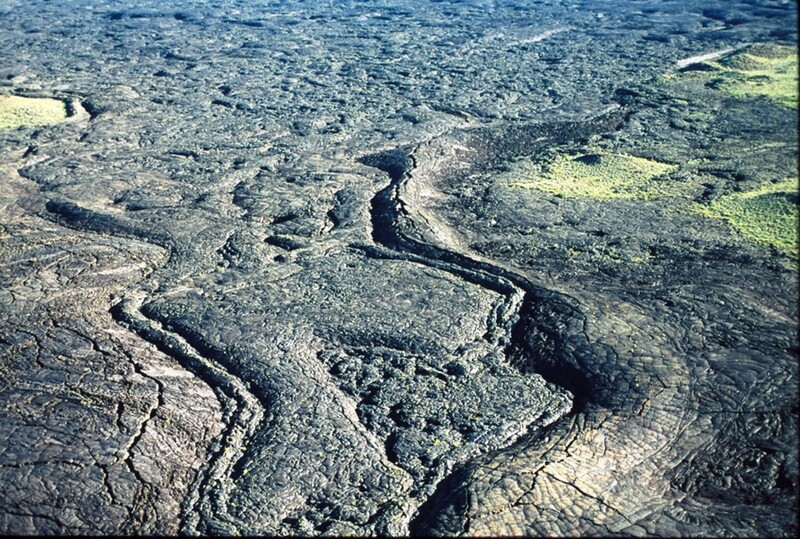 About 100 miles to the northeast of Twin Falls, it is a sea of lava flows that looks like it could have been on the moon. 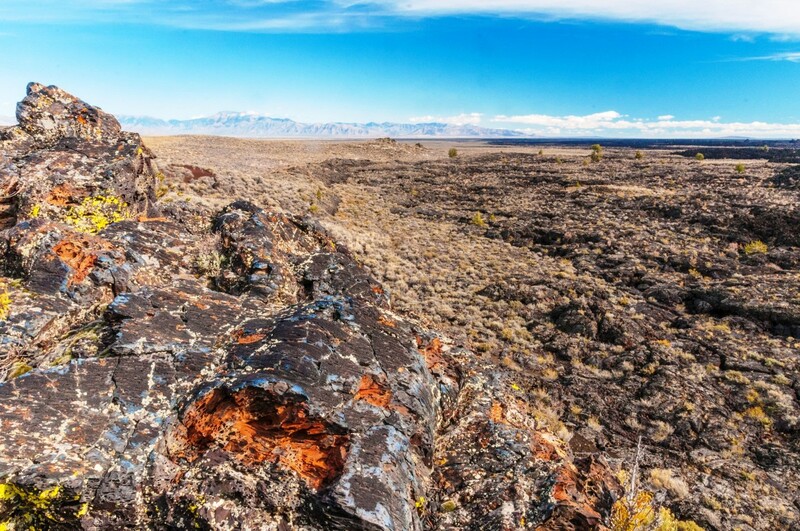 The most popular activities at Craters of the Moon are hiking and caving. The best trail, in my opinion, is the Broken Top Loop Trail, which is under two miles long. 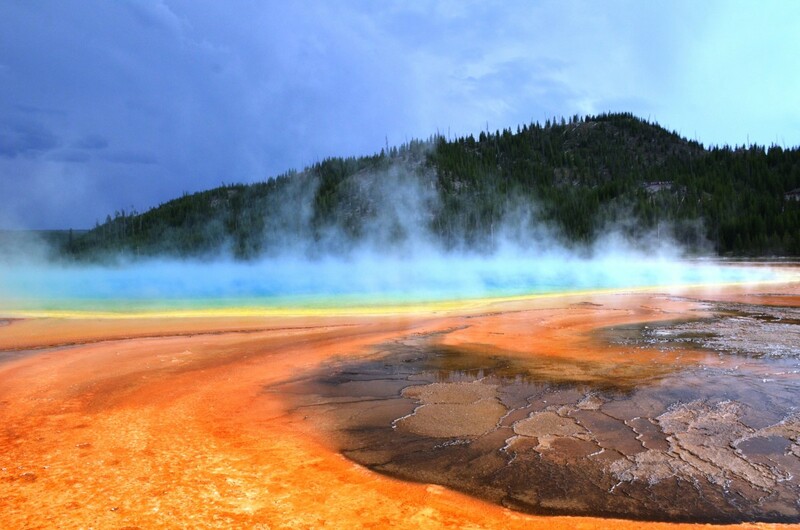 It allows the visitor to see every different kind of volcanic activity that led to the unique landscape. 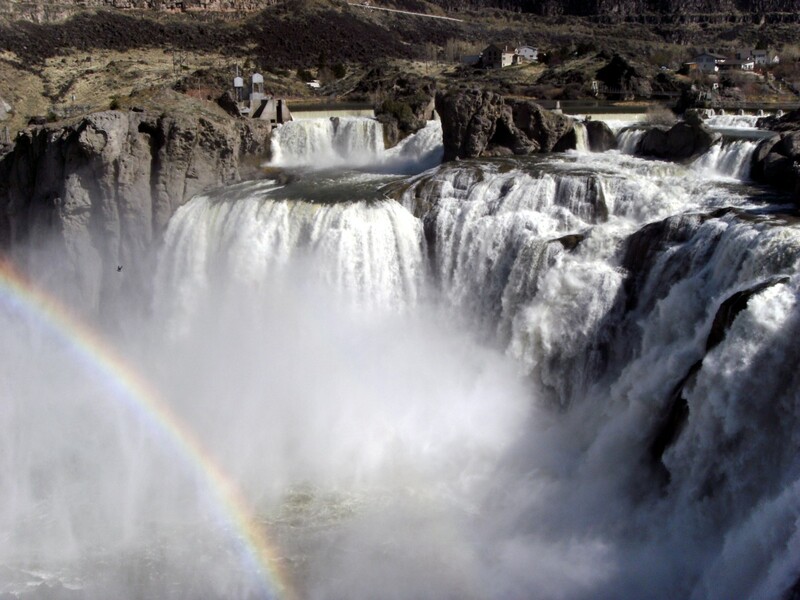 Craters of the Moon National Monument is a must-see when visiting Twin Falls, Idaho. Hagerman Fossil Beds National Monument is one of the best places to find the fossil horse Equus simplicidens, which went on to become the state fossil of Idaho. 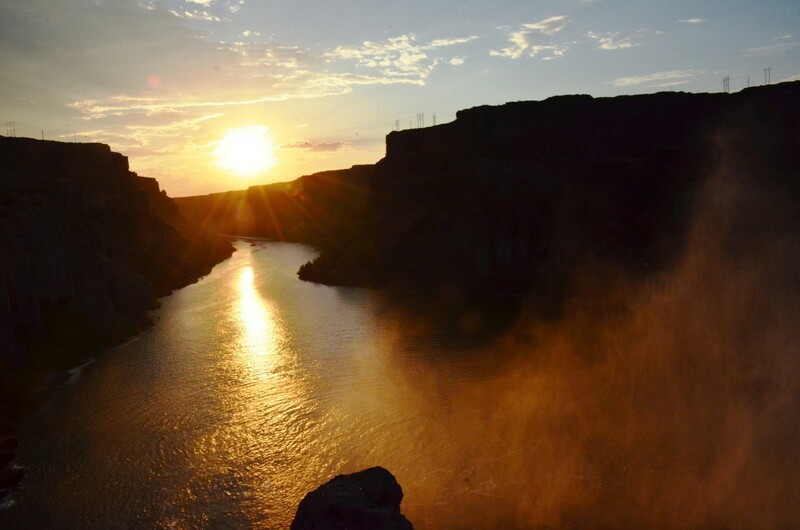 It is about 39 miles northwest of Twin Falls. 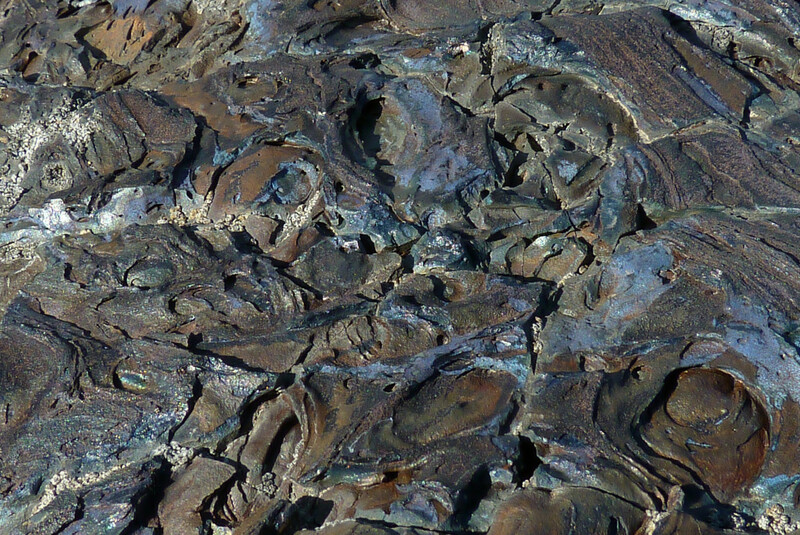 The park visitor center has examples of fossils unearthed at Hagerman. 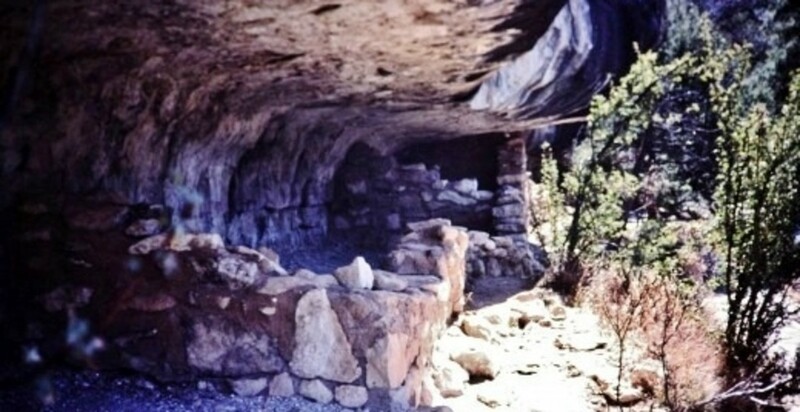 The Oregon Trail ran through the monument as well. There are still ruts visible from the wagons that used the trail at one of the viewpoints. 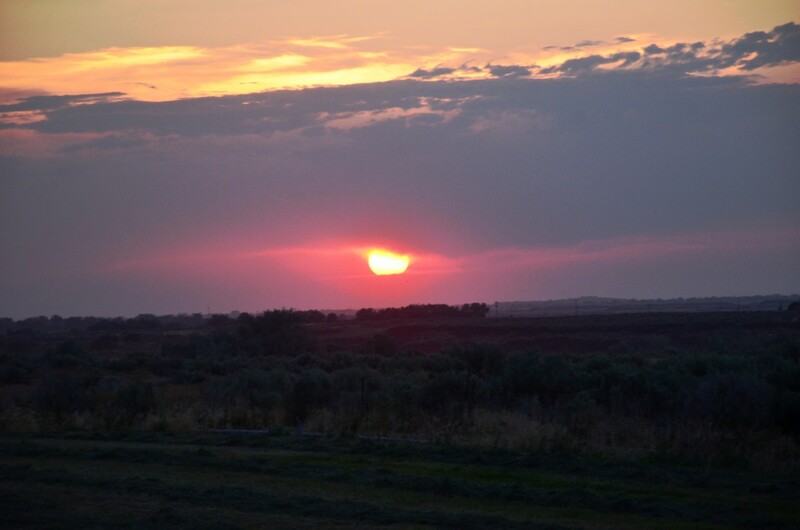 Hagerman Fossil Beds National Monument is a must-see for the history lover. 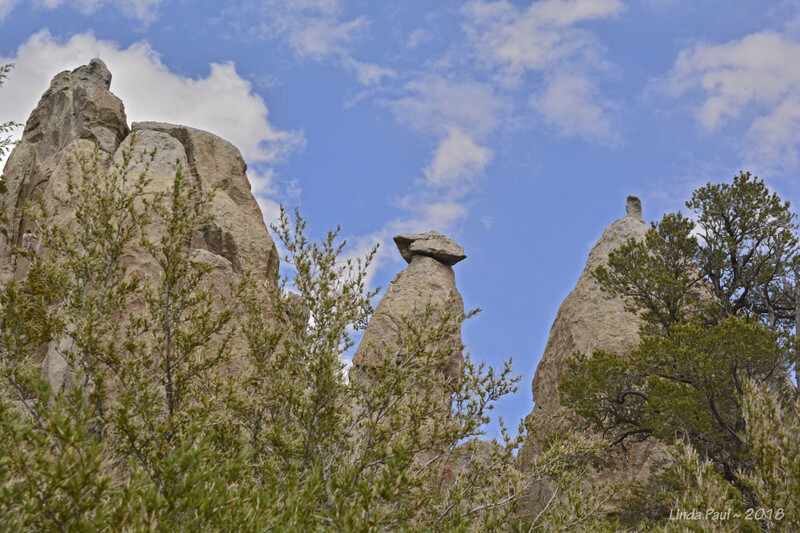 City of Rocks National Reserve is a cool place that is about 88 miles southeast of Twin Falls. People from around the world come here to rock climb. 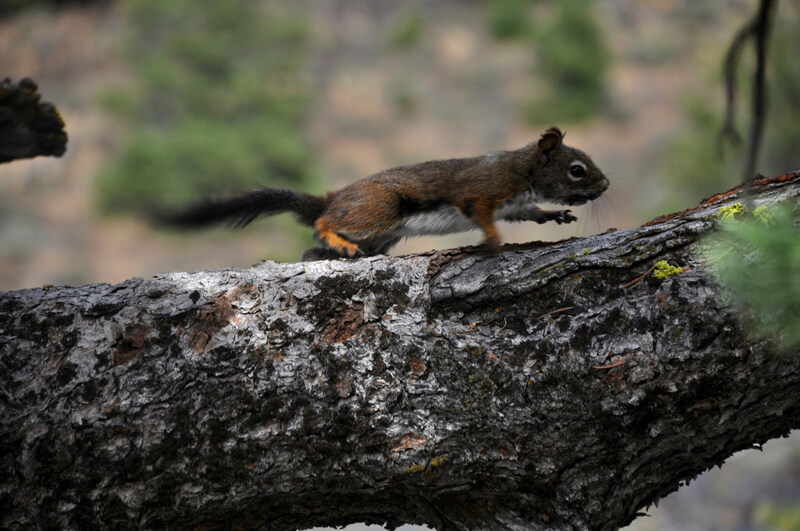 The reserve boasts over 600 climbing routes that range from 30 to 600 feet long. Visitors are only required to obtain permits for placing permanent anchors; otherwise, climbing is free. 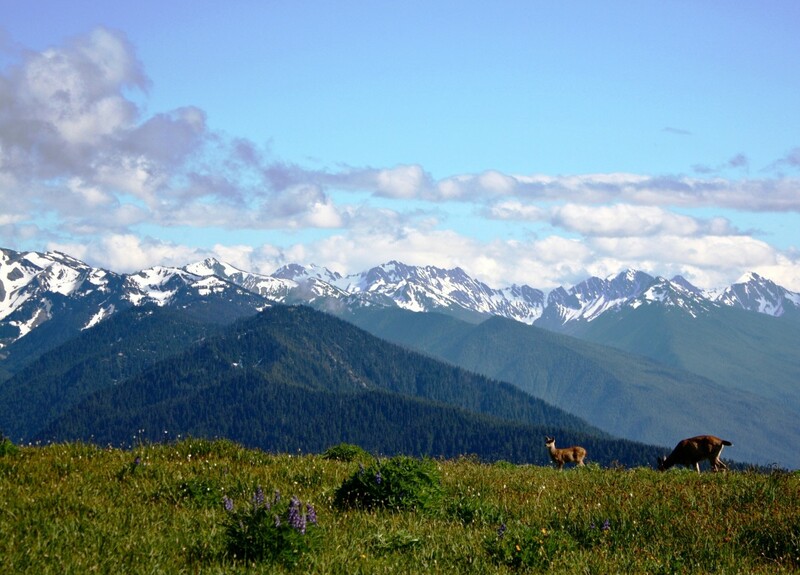 It is also a great place for auto touring, hiking, camping, birding, mountain biking, and hunting. 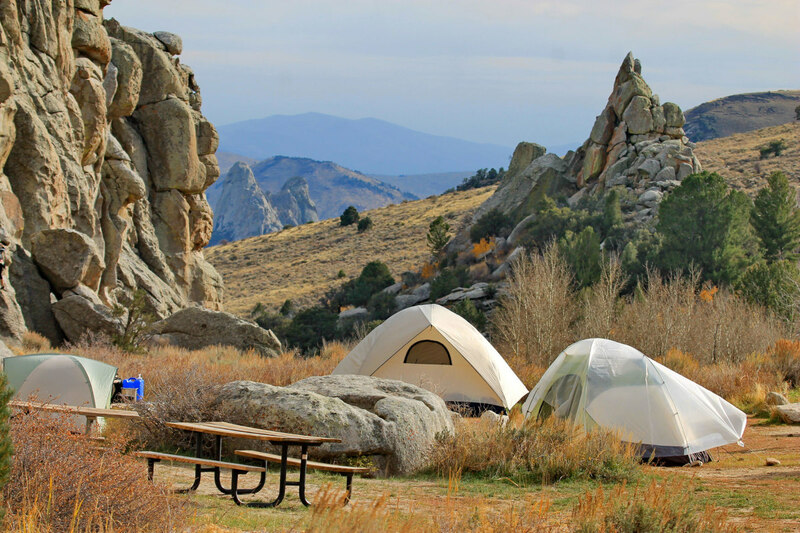 City of Rocks National Reserve is also a great place to take pictures of sunsets, sunrises, and full moon pictures. It is well worth spending at least a few hours here. 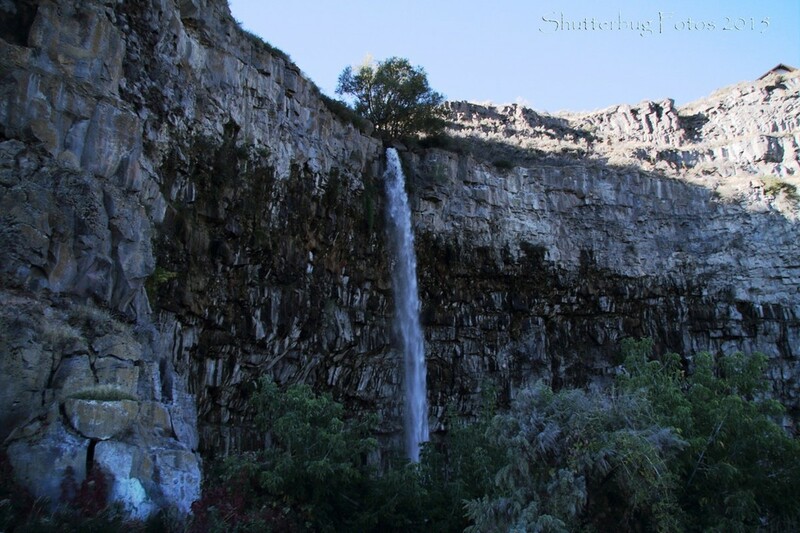 Twin Falls is an impressive 125-foot waterfall located in Snake River Canyon, near Twin Falls, Idaho. It is an impressive waterfall when the river is running hard. However, the dam near the falls diverts water for irrigation during the summer. We were blessed when we visited in late July to see the falls fully flowing with a lot of power. Well worth a quick stop. 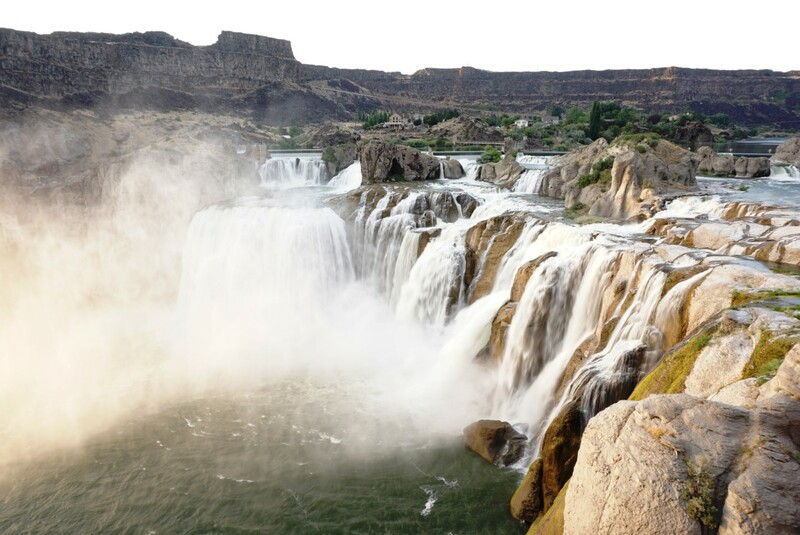 Centennial Waterfront Park is a great place to enjoy the beauty of Twin Falls and the Snake River Canyon. 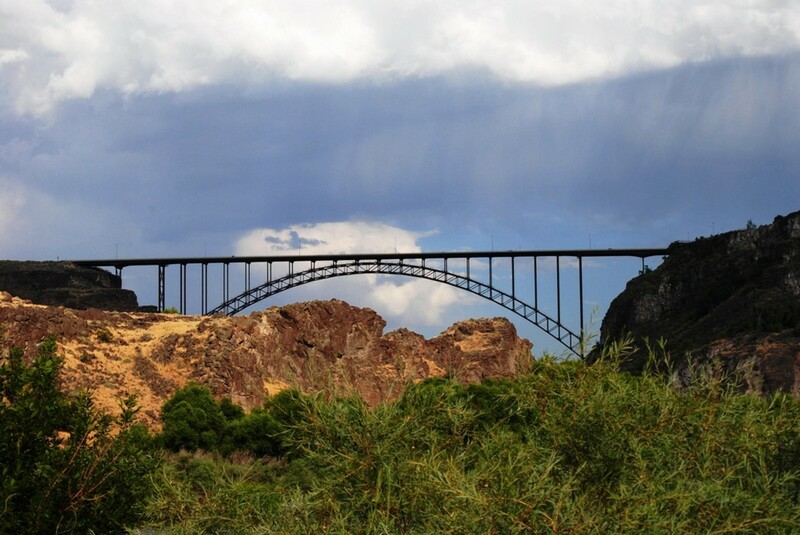 The park offers places to hike, fish, kayak, rock climb, walk, have a picnic lunch, and enjoy the view of Perrine Bridge. It also has a playground area for kids to play. Definitely, worth a quick visit. 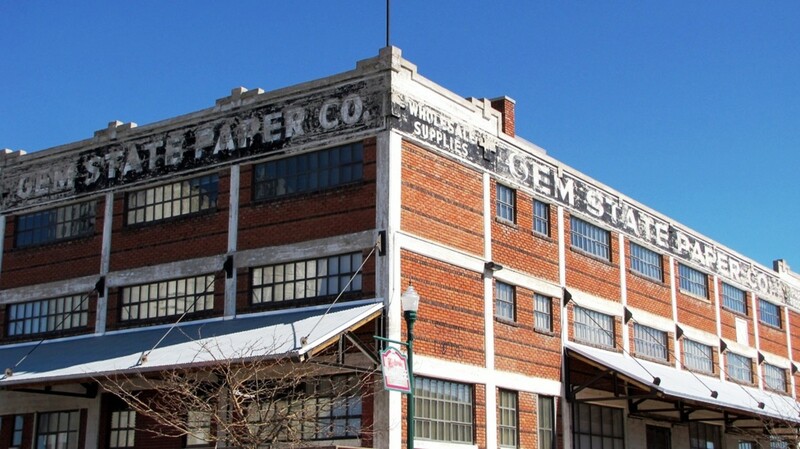 Downtown Twin Falls is worth checking out. There are interesting shops and some good restaurants to try. It is not huge by any stretch of the imagination, but it's still worth a visit. Guppies Hot Rod Grille is not only the best-named restaurant, but they are said to have the best burger in town. They offer a diner that dates back to the 1950s and 1960s. It won the Certificate of Excellence in 2017 on Trip Advisor. I recommend trying the sweet potato fries. Twins Falls is a great area to visit. There are many things to see and do there whether it is for a quick stop or a week. It is such a beautiful area. We enjoyed our time in Twin Falls and cannot wait to go back and explore it further, especially the Sawtooth Mountains. 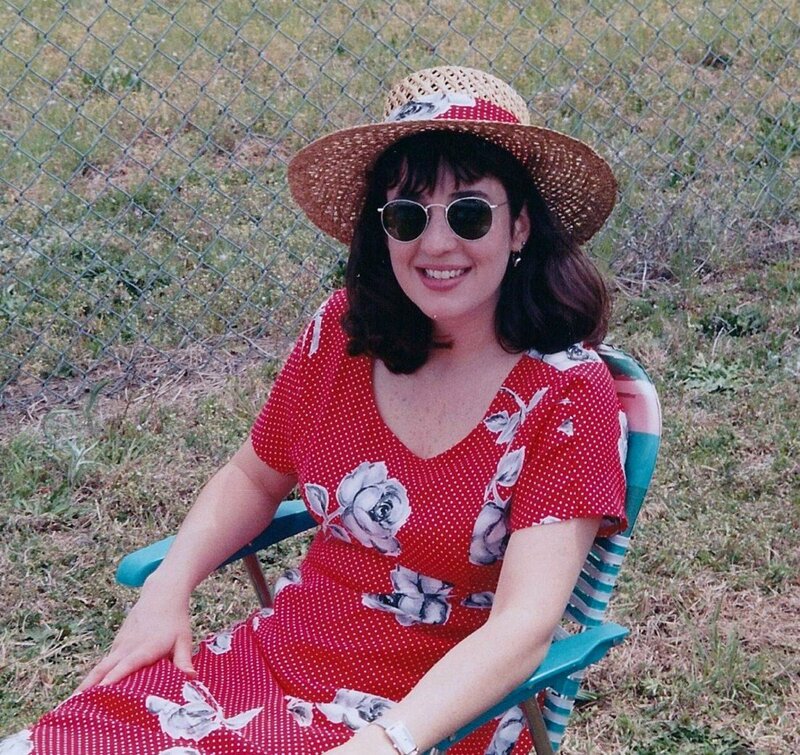 Thanks, Liz. It was amazing. We cannot wait to go back. That was definitely a great vacation that you had. This is another extremely well-illustrated article.